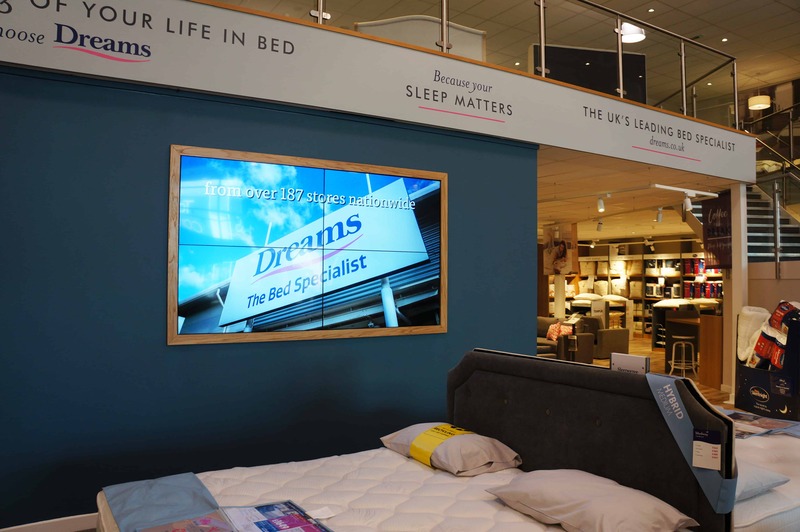 Continuing our retail design journey with the Dreams brand, we have recently completed another beautiful installation which focuses on their next-generation store format. 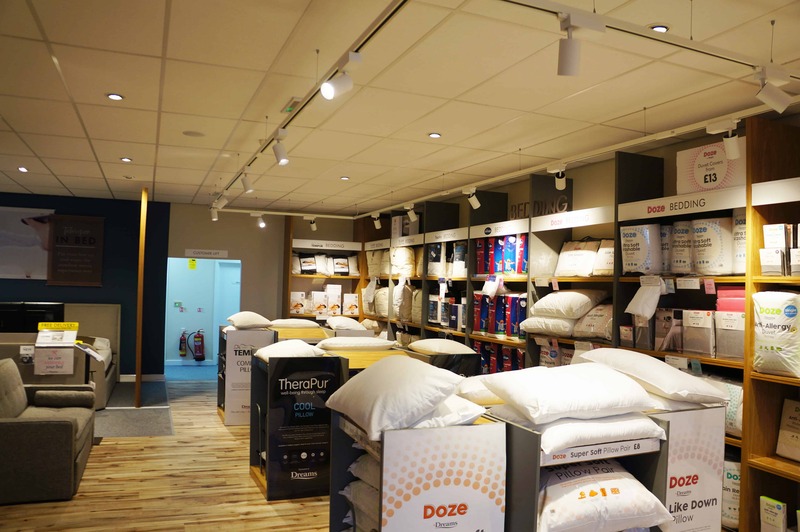 This time, we add the Watford store to our portfolio. 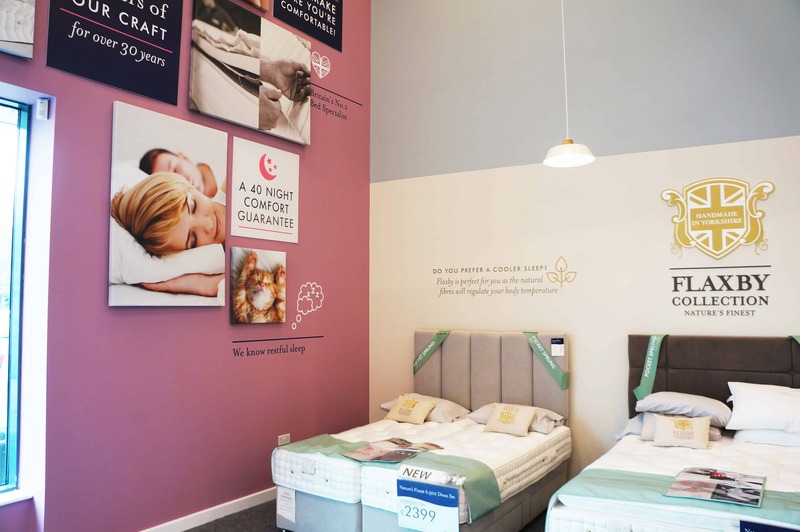 Just like previous projects for Dreams, we evolved their store environment with key principles that would help to improve the customer journey. 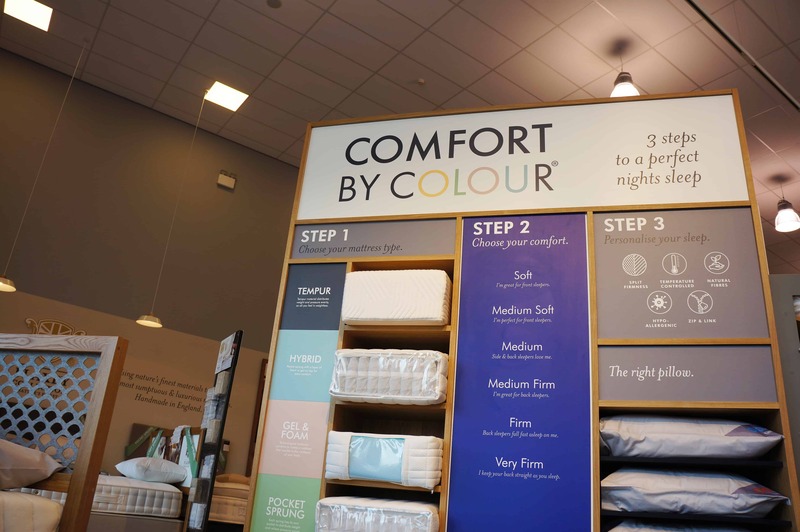 As you enter the Watford store, the ‘Comfort by Colour’ area is prominent; creating a landing zone for customers which immediately provides explanation behind the strategy for a better night’s sleep. This explanation is also the beginning of their journey around the store, highlighting how to personalise the customer shopping experience by need. 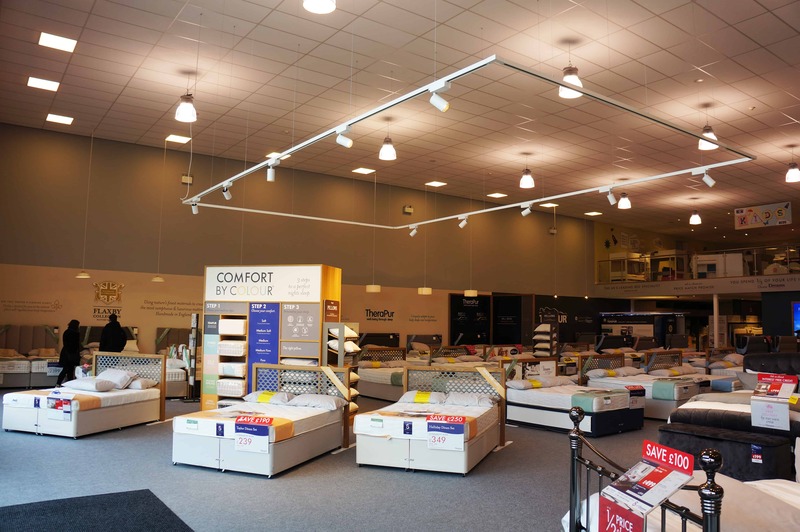 The Comfort By Colour (CBC) structure is illuminated by an overhead lighting raft, drawing customers to its presence, welcoming them and providing the first tactile experience in-store. 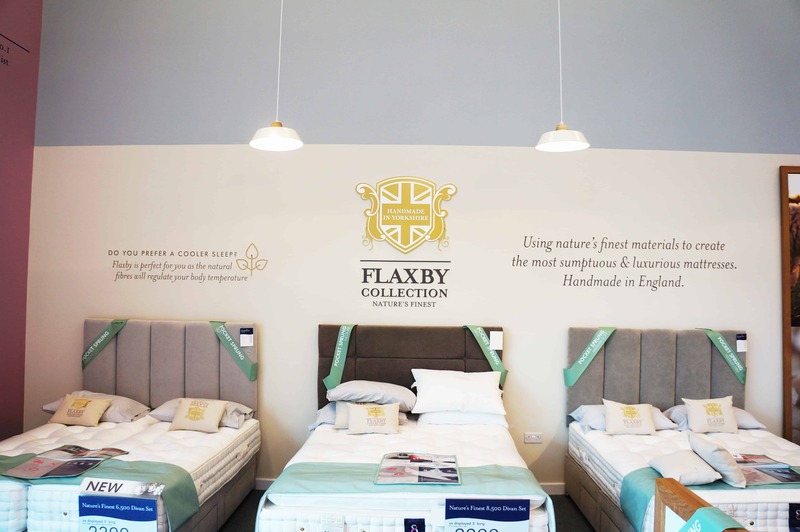 In just three easy steps, customers can begin to understand the right mattress for their own requirements; whether this is a gel mattress or one which is pocket sprung. 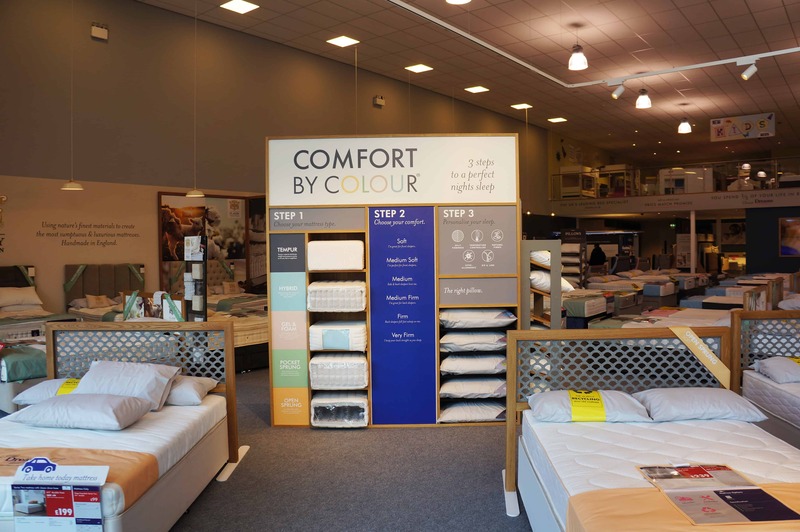 This CBC method visually associates a mattress with a colour, enabling customers to make clear headways towards products which display the corresponding colour and thus only spending time with mattresses which appeal to their needs. 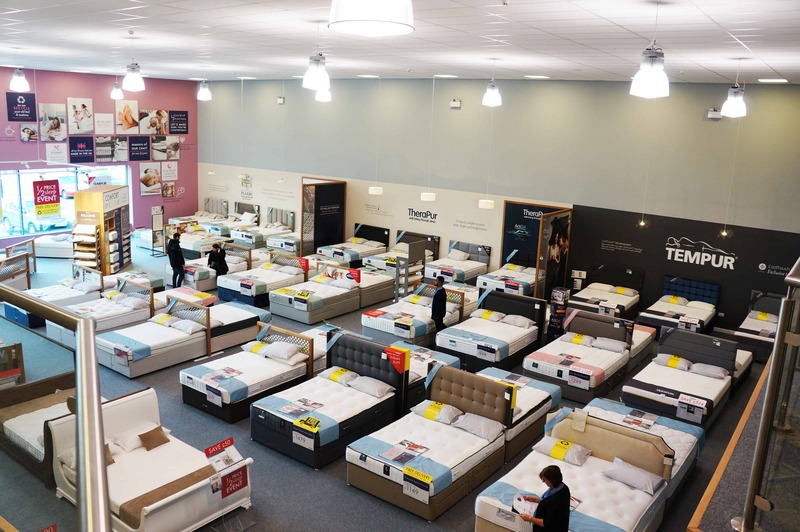 To the left of the comfort by colour zone, the mattress shop begins. The product density in-store is broken up using dividers; made from a combination of bold graphics and honeycomb patterned grey felt. Almost acting as headboards and even room sets, these partitions help to divide the large space into easy-to-navigate areas without removing the light or feeling of openness. The graphics throughout the store are hard-hitting, for the right reasons. The branded titles, images and statements offer a combination of emotional responses. The images which callout to nature, the black-and-white shots of the factory and the bold statements of heritage and quality; all showcase the strength of the Dreams brand. 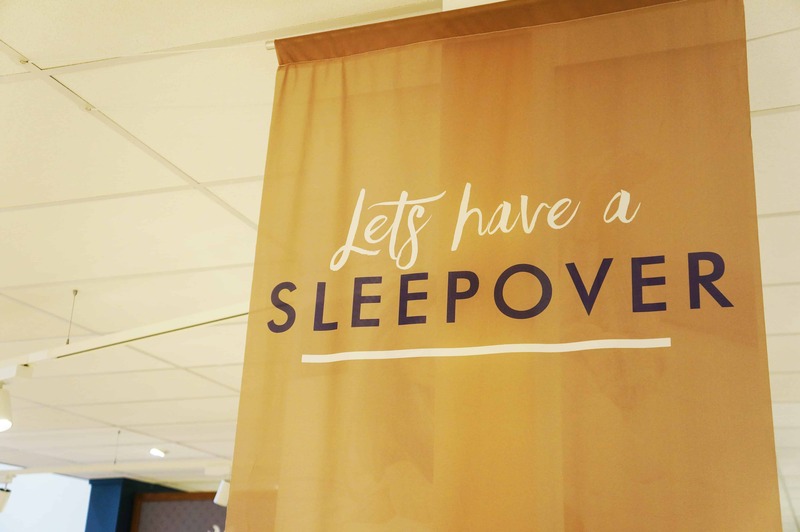 The quirky conversational quotes, such as ‘let’s have a sleepover’ are subtle and calming, setting the right tone for a bedroom purchase. Upstairs, the continuation of these graphics takes on an exciting edge as customers are lead to the children’s area. 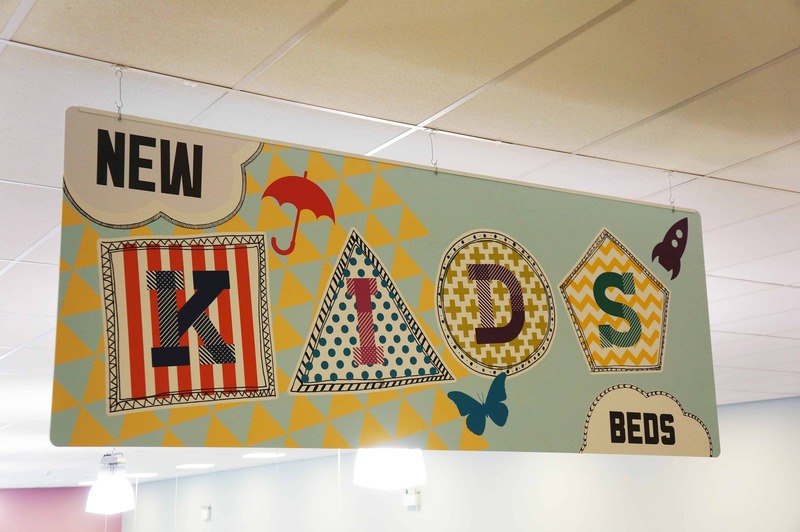 We introduced children and teen-led typography mixed with cartoon style drawings, creating an area entirely dedicated to the younger generation. The pops of colour, particularly yellow, step away from relaxation and focus on youthful excitement. 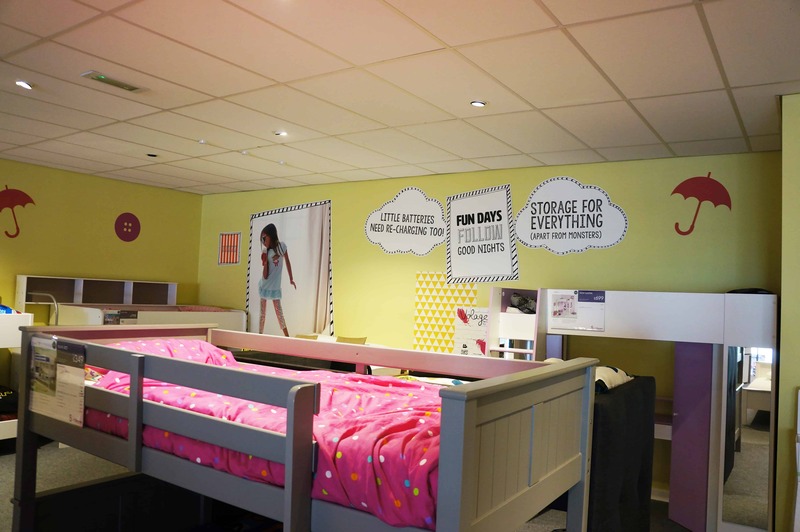 Towards the rear of the store, customers can also find areas dedicated to room sets. 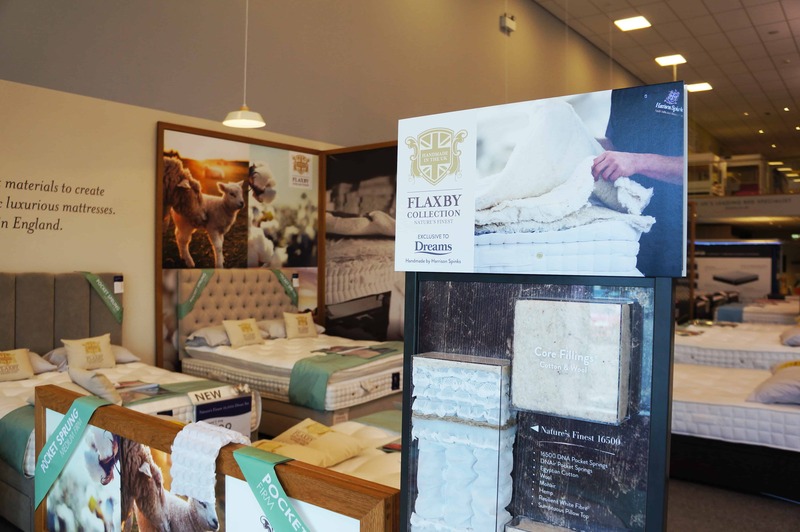 The use of these presents the Dreams mattresses in life-like settings, presenting inspirational designs for customers in-store. 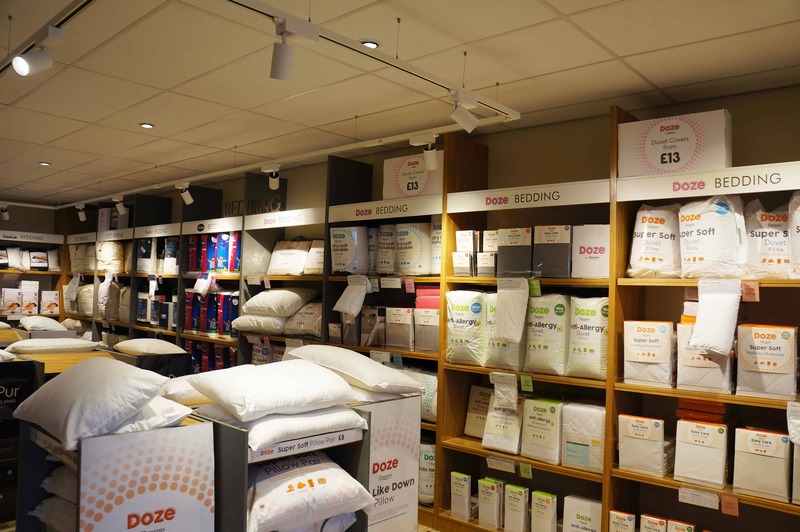 Located close by is the bedding shop, to pick up the linens, duvets and pillows as part of the last stage in the shopper journey. 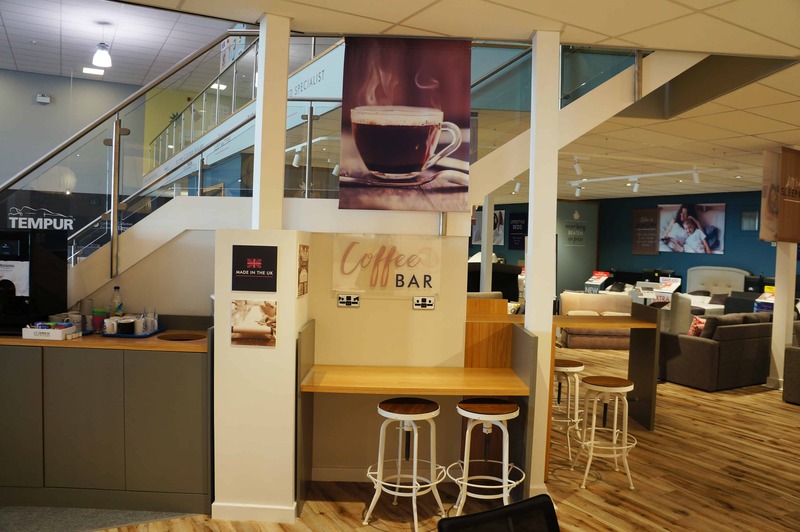 At the end of their journey, including a visit to the upstairs or not, shoppers are naturally lead to the customer service area; potentially choosing to grab a drink at the complimentary hot drinks section. 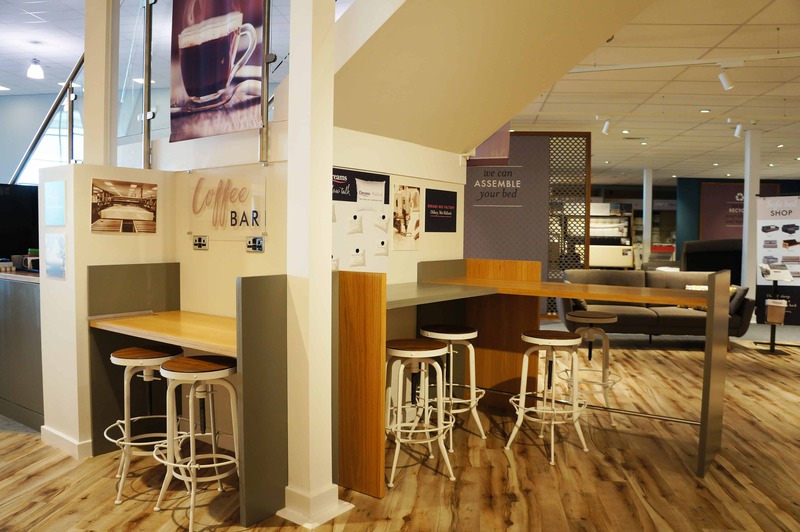 The aim of this project for the Watford store was to continue our next generation retail design for the brand, including the bold creatives that had been designed for the brand by our 2D teams and making the store journey as comfortable as possible for customers. The finished store achieves this goal, reaffirming the evolution of such an iconic brand in brick-and-mortar retail. The overall scope of this project was a pleasure to be a part of and we look forward to being involved in another upcoming Dreams project.